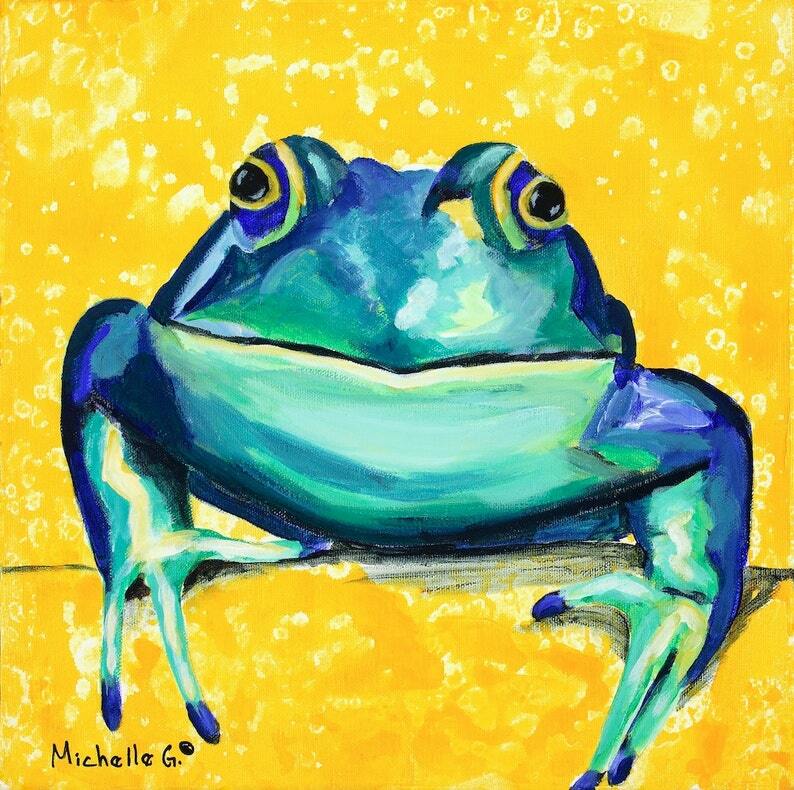 This vibrant, yellow, green and blue painting of a smiling frog would be the perfect artwork for your child's room (boy or girl), nursery, or any space that could use a bright spot of color. 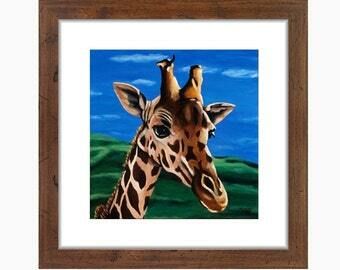 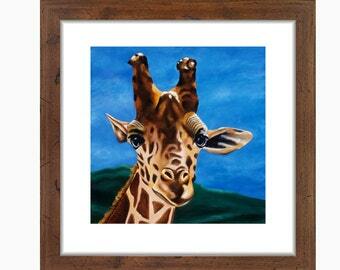 ★ This original animal themed paintings is created with acrylic on gallery-wrapped canvas. 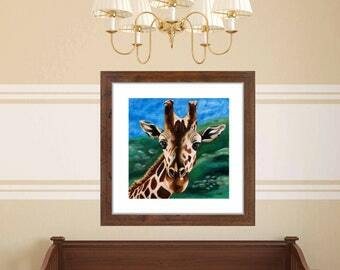 It is painted on all four sides, so there is no need to frame.